MANHATTAN — Gramercy Park’s famed Players club is in “imminent danger” of closing as soon as funds from the sales of its prized John Singer Sargent paintings run out, DNAinfo.com New York has learned. The revelation came at a contentious four-hour-long closed-door meeting Thursday night where the member-led Financial Audit Committee recommended ousting the club’s executive director of 20 years, John Martello. Immediately, a vote was held and Martello narrowly kept his job after the votes were tallied. 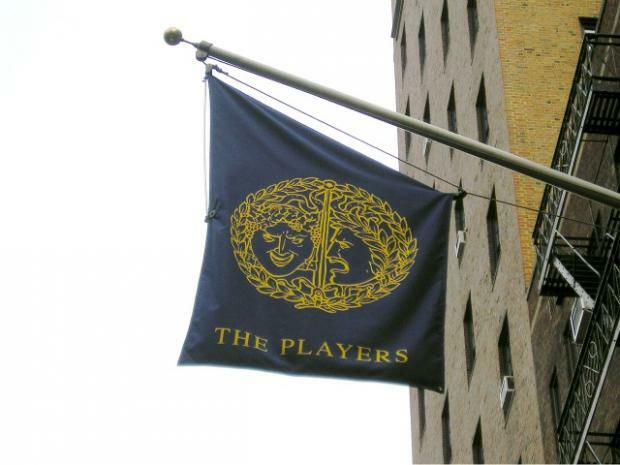 Like its neighbor, the National Arts Club, the Players faces allegations of fiscal mismanagement. The actors society’s debts keep piling up, according to the committee, which spent more than a year investigating the club's finances. After losing nearly $3 million over the last nine years, the crumbling building’s electricity has nearly been shut off because of unpaid bills, the report said, noting that the last of the three paintings by the prominent turn-of-the century portrait painter Sargent was hocked to a pawnbroker website for $250,000. Sources said it could have been worth much more than that. Also, the institution is now facing a class action lawsuit claiming that it took a cut of dining room workers’ tips, according to a complaint filed in Manhattan Supreme Court. The club’s servers, cooks and bartenders are supposed to get money from the club’s annual holiday fund in lieu of tips, according to a court complaint filed last September by bartender/waiter Joe Canela. Court documents alleged that the club kept part of the pot. The report blasted management for running its room rentals in a slipshod manner where fees were routinely waived or deeply discounted, even when being used by outside parties for profit-making events. Sources said there were no records on file for more than 45 events that had happened at the club. “That club shouldn’t be going bankrupt,” Dennis Davies, who served as the assistant to the executive director for five years before being fired in July 2011, told DNAinfo.com New York. He said he saw firsthand how events that would bring cash to the struggling organization were ignored. “I’d turn people away all the time, not only people, but television networks willing to pay tens of thousands of dollars to rent the space," said Davies, an actor and acting teacher. But the club can't even claim to be a key-holder of Gramercy Park, the gated enclave the building faces since it hasn't paid this year's $7,500 assessment to the Trustees of Gramercy Park, the report noted. Things have gotten so dire that the club can no longer pay its laundry bill, and has therefore switched to paper napkins, a source said. For instance, he said the New York Film Academy got free space because the school was building the club’s archive by filming major club events. An opera group called the VOICExperience “is the project of one of our most distinguished members,” Sherrill Milnes, and has been doing events in the quiet of February for 10 years, he explained. And as a corporate member, the Moth storytelling organization gets to use the space, he said. “We certainly don’t lose money” on the Moth, he said. “The cash bar for their events is probably the strongest for any cash bar we do for any organization," he added without disclosing specific figures. The club has been plagued with other problems, including a $100,000 fine two years ago after a dispute with union workers and a recent $30,000 fine for not providing workers compensation, according to the committee. “The majority of my years on the board the meetings were spent discussing damage control,” said Doug Gerbino, a middle school music teacher on Long Island and former board member who was expelled from the club’s membership ranks for speaking publicly about the club’s problems to DNAinfo last year. The committee blasted the club for its lack of transparency and said “dramatic” change was needed to save the club. The first of the club's three Sargent paintings, of Players founder and legendary Shakespearean actor Edwin Booth, was sold for $2.5 million after a 2000 agreement with the state Attorney General forced the club to settle a matter from the 1980s, when it borrowed money from a library and a charity that operated within the building. The second, of thespian Lawrence Barrett, sold for $750,000. The third is of comic actor Joseph Jefferson. Members at Thursday's meeting overwhelmingly voted out Martello, but the board had collected enough votes from members in absentia — who hadn't read the finance report —to help save the director's job. “Neither Martello or his defenders could seem to come up with reason to keep him on as executive director, other than the fact that he's a talented showman,” a member who attended Thursday’s meeting said, asking for anonymity. “Most people agreed, however, that his skills as a business manager were lacking." With additional reporting by Heather Holland.